Scoffing, Pica, Gorging or overeating, and Coprophagia are four major eating disorders that are found in the dogs. Why is a dog suffering from any of these? Scoffing is more of a psychological disease which pups develop and carry on to their adulthood. There are chances that your puppies will develop this disease if they are eating together. Moreover, this condition is often established by puppies who think someone will take their food away. It is a disease in which a dog starts eating things he shouldn’t eat like dirt, rubber, wood, cushions, etc. The reason behind this condition can be traced way inside dog’s brain. Anxiety, depression, frustration, etc. are some of its significant reasons. Vets are split while tracing this disease’s reasons; some blame it to the overfeeding owner’s others to the natural instinct of dogs to hunt, they aren’t anymore, dogs went soft hence the overeating. Some dogs may eat their feces and amaze and disgust their owners at the same time. But according to some of the experts say this behavior is an example of observational component pups have. 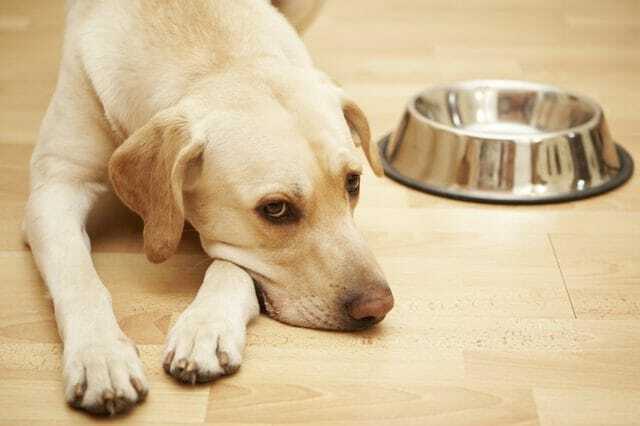 How to detect an eating disorder in dogs? 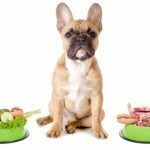 If your dog has any of the above-mentioned eating disorders, you can detect it in his behavior firstly, but if you are not a good judge of it, then you can keep a check on his weight. 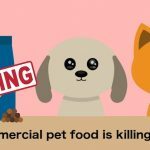 Weight loss and gain may indicate the health of your buddy pet, excessive gain or a straight slide in weight both are indicators that your pet is suffering from an eating disorder. Hair loss is also a significant pointer in the direction of an eating disorder if the canine is shedding excessive hair(more than he should) see a doctor immediately. If your she-dog is not into any of the activities that she loved to do, like playing or walks, it is also an indicator of dog disorder. Excessive chewing of skin and scratching with excessive thirst are others things which one may keep an eye on if s/he is keeping track of his/her pets’ eating habits. There is only one way out of all these situations; you have to give your small friend more time than you are giving him/her. For the dogs who are suffering from the Scoffing feed him separately, away from other dogs and if he is the only pet then don’t bother him while eating. Talk to your dogs; happy thoughts may help the dog in fighting anxiety, loneliness stimulates their brain which can lead to him shaking off all eating disorders. Dogs are humanity’s best friends but every then and now our friends may need a helping hand then be a good friend and lend one.